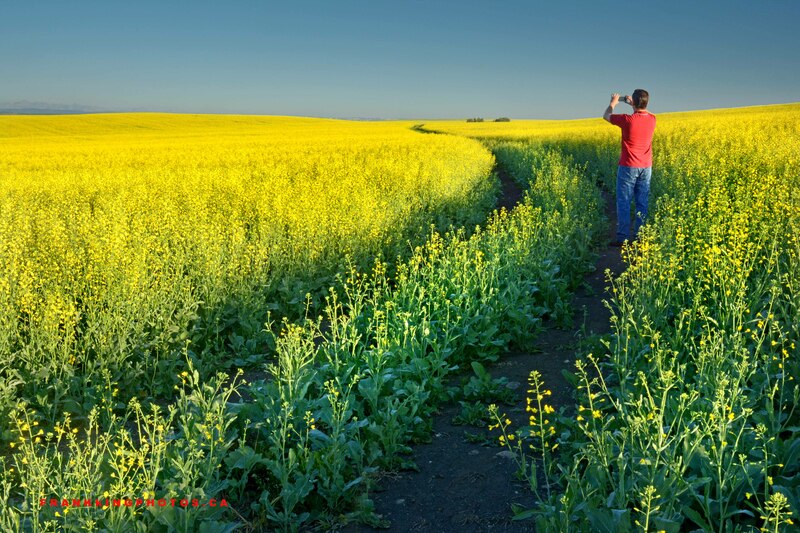 Canola makes for amazing photos, but I was looking for something extra and found it when I discovered this field, complete with a winding trail to somewhere. After making a few pictures, I decided to add a human element. Me. Just a few exposures later, I badly twisted my foot running to a spot and stepping on a rock just before the timer on my camera went off. Look carefully along the horizon at the left border and you’ll see the Canadian Rocky Mountains. As a fellow photographer, I can definitely relate!